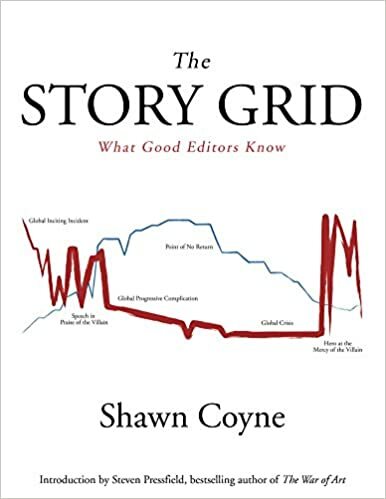 I just finished an amazing five-part video series on the craft of story editing, by Shawn Coyne, The Story Grid. It is one of the most informative series I’ve seen to date. In addition to the videos, free downloads and full transcripts are available. Click here to download all five videos. Buy the book here or on Amazon. I’d love to hear your comments about The Story Grid. Talk to me. Tell me your story. And as always, you can follow me on Facebook at SheilaMGood, Pinterest, and Twitter @cofcmom. If you would like to become a guest contributor, check out the guidelines above and get in touch. I would love to showcase and share your writing with the fence jumpers. Copyright © All writings on this web site are the property of the writer, Sheila Good. All rights reserved. No portion of this web site may be reproduced in any form, without prior written permission from the writer.